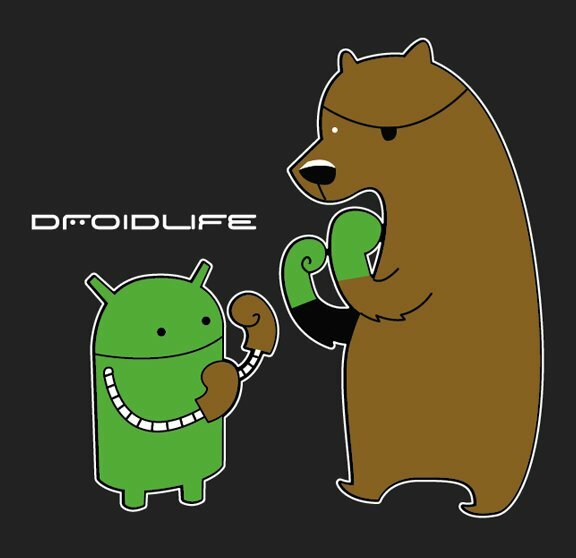 Limited Edition Droid Life Shirts: Andy vs. Bear Available Now! 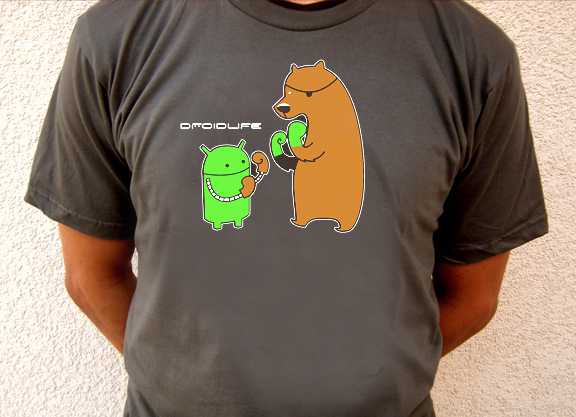 We’re extremely excited again today to unveil a new limited edition Droid Life shirt. Say “Hello!” to Andy vs. Bear, an exclusive design to DL by Chris Bishop (same guy that did Andy Versus), making this a one of a kind t-shirt that is only available for the next 4 days. After that, it’s gone for good, so you’ll want to grab as many as you can now. At just $17 (plus shipping), and on American Apparel cotton, I’d pretty much call this the steal of the year for Android swag. Shirts are available in S-3XL, so you shouldn’t have any problems fitting that beer belly into one. After we close out orders on Friday at midnight, shirts will be printed and shipped out on Monday to everyone. Kids and girl shirts available upon request. We should also point out that our favorite shirt makers are having a hoodie sale, which just so happens to feature a couple of leftover limited edition Droid Life hoodies. There are only a few left (possibly 10) in a couple of sizes (S, M, and XL) at $22 a piece, so be quick. Purchase hoodies.